Restaurants, Is Brand Engagement On The Menu? Engaging Millennials, Part 3: Restaurants, Is Brand Engagement On The Menu? It's no secret that as Millennials grew up with new technology, the way brands market products to them has changed. As we have explored in the first two parts of this blog series, brands across all industries have been searching for new strategies to engage these consumers. Representing more than one quarter of the entire population and holding $200 billion in annual buying power, Millennials are leading the shift to experience-based spending. With it comes new challenges and new opportunities for engagement. That world view is changing the way restaurants are designed, the way they operate, and the experiences they are expected to offer. It’s Saturday night. A group of Millennials are sitting around trying to find a restaurant for dinner. Each person plays a different role in the search for the best option: Matt is scrolling through reviews on Yelp!, Brittney is checking wait times on another app, and Austin is engaging in a group text conversation, reading every message out loud as an identical scene is happening at another friend's house. These situations are happening all across the country, every week. Because this generation doesn’t just view restaurants as a place to eat food: Going out to eat is often a social event, satisfying the hunger for fun and new experiences. In fact, 72% of Millennials are spending money on experience-related purchases. More than ever before, consumers are interested in where your food comes from and want to know the story behind it. Millennials care more about sustainable food than any other generation. As Forbes notes, Millennial ‘foodies’ are challenging the supply chain from farm to table. This generation of restaurant goers expect more nutritious and healthy food offerings at reasonable prices, which is causing change from restaurant kitchens all the way to the beginning of the supply chain. Restaurant brands need to leverage these stories, as they can be the deciding factor when Millennials are choosing where to eat. As they do in other industries, Millennials connect with the brands that share the same social awareness and values as they do, so you should build it into your message. Beyond the story of where the food comes from, it’s important for patrons to know what is in the food. With many guests following stricter dietary guidelines, they will want to know the ingredients of your menu items. Brands can leverage a knowledgebase management system (KMS) to power self-service on their websites and/or mobile apps so customers can help themselves prior to visiting the restaurant. That same technology can be used to inform employees, whether it’s the manager who has been employed for four years or the newest front host who started last week. Restaurants can rest assured knowing that consistent, accurate answers are being provided to all guests. The most well-known area of focus when it comes to any industry marketing toward today’s tech-savvy generation is the mobile experience. This certainly holds true in the restaurant business, where consumers now expect to be able to check wait times, secure their spot in line, order delivery, and pay, all from their mobile device. That’s right: delivery knows no limits now, thanks to apps like UberEats. Having these convenient options for your customers is important to growing loyalty. Consumers who have ordered from a restaurant online visit the restaurant 67% more frequently than those who haven’t. But just offering these mobile features isn't enough -- they need to be seamless and convenient. By using mobile self-service for in-app support, you ensure that your customers find the answers they are looking for quickly. If they aren't able to use your mobile features easily, you won't convert that interaction into a sale. It's also important to capture the customer data at every touchpoint by integrating feedback into your CRM system. When a customer uses UberEats to order a delivery from your restaurant, you'll want the opportunity to secure that information and act upon any customer feedback. Let’s go back to part one of this post, where the group of friends were trying to find the perfect restaurant for a Saturday night. Matt was searching Yelp! in order to narrow down their options. That’s because restaurant brands now live or die by the online reviews consumers share on apps like Yelp! and other social media channels. Studies show that 84% of consumers trust online reviews as much as a personal recommendation, making every guest an important food critic. Seventy-five percent of diners who view photos of food choose their dining location based off of social media. As Forbes states, today’s consumers not only eat with their eyes – they buy with their eyes, too. Brands must utilize word of mouth marketing by maximizing their social media presence. Using a social listening tool, you can monitor what guests are saying about your brand and find new opportunities to engage them. From tracking sentiment to popular social media influencers, brands can capture important voice of customer insights that can then be shared across other areas of the business for process improvements. 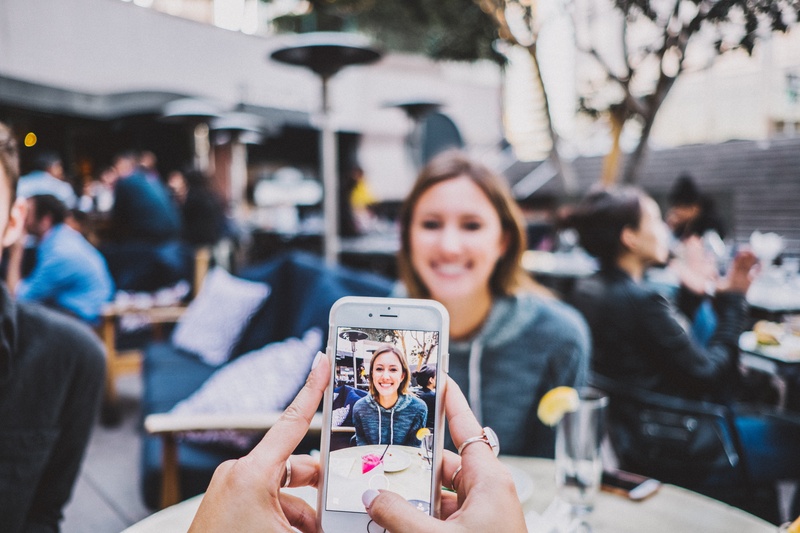 Restaurants are a prime industry that can take advantage of user generated content that highlights the guest experience on social media, and in turn, build a strong community among their guests. Social media is also an easy channel to reward your guests. Someone posts an awesome photo? Re-post it, thank them for visiting, and give them a special offer for their next visit. It'll make customers feel appreciated and part of the experience, and will go a long way towards building loyal guests. Astute Solutions has helped many restaurants improve their customer experience, from Domino’s to McDonald’s and across Darden Restaurant’s portfolio of brands. Astute SocialTM helps make sense of all the chaos social media can bring. By capturing voice of the customer insights across all social media channels, and using sentiment tracking, trend analysis, and influencer data, you can identify how consumers really feel about you. Use custom tags to monitor what diners are saying about their experience, and capitalize on opportunities to engage in real time. ePowerCenterTM hosts all customer data in a central location, regardless of the channel where they communicate, providing your service staff with a unified customer view. Track trends with the reporting and analytics tools to better understand consumer behavior and attitudes. Our KMS, Astute KnowledgeTM gives your customers and employees all of the information they might be looking for. Power your app or website with digital self-service, letting guests check for allergens or view your nutritional options before visiting. Your staff can use the same knowledgebase to provide service and accurately answer customer questions. Request a demo to see how Astute can help your brand connect with your customers.